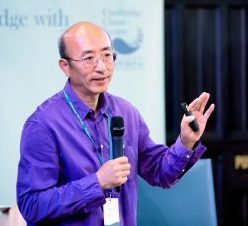 Cambridge China Centre’s mission to drive long-term UK|China business has moved a step closer by welcoming these strategic partners. Formed in 1997, Cambridge Chinese Community Centre (CCCC) is a not-for-profit, non-political charity registered in the UK. Its mission is to enhance the life quality and general welfare of Chinese residents in Cambridge and beyond, promote Chinese culture and strengthen the cross-cultural communication and integration between Chinese and the wider community. Its main initiatives include celebrations of traditional Chinese festivals, including Chinse New Year, Dragon Boat Festival and Mid-Autumn Day, weekly assemblies with many activities including social meeting, sports, Chinese traditional sports, dancing, language and cultural lessons and etc. Dr Wei Sun (above) is Chair of CCCC and also a lead software engineer in a local company and overseas committee member of the All-China Federation of Returned Overseas Chinese. Cambridge Chinese Community Centre is a very active Chinese organisation that runs many activities weekly and big events annually. Cambridge Business Improvement District (BID) is responsible for managing the place that is Cambridge, funding projects to ensure a world-class experience for all in terms of a welcoming and vibrant street scene and a clean and safe environment. Popular initiatives include the Rapid Response cleaning service, the provision of Christmas lights, the funding of taxi marshals and Street Pastors and an annual Mystery Shop to test customer service. 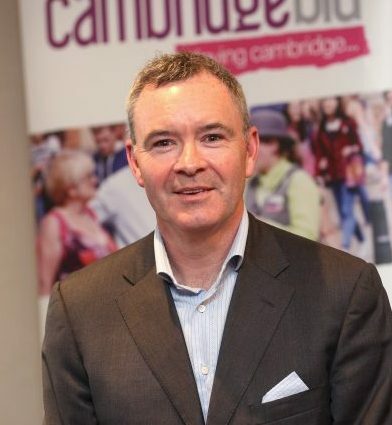 Ian Sandison (above) is CEO and has been involved in the economic development of Cambridge for 10 years. In 2017 he was named one of Cambridge’s top 25 most influential business people. 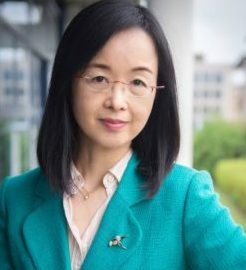 Crayfish.io was launched in 2017 by Ting Zhang, known as one of the leading China business experts in the UK with over 20 years’ experience of UK-China international business, trade and investment. Crayfish.io is the first online platform to provide a more efficient and affordable way to facilitate international trade with China. It offers an integrated solution from strategy to execution by leveraging the company’s global network of Chinese speaking expertise. They help businesses access high-quality support with considerable cost savings and improve their efficiency in managing China-related projects. Crayfish.io is set to empower businesses to unlock their Chinese dreams. Ting first came to the UK to study in the University of Cambridge, and then in 2001, foreseeing the increasing trade between the UK and China, Ting left her career as a banker in the City of London to set up China Business Solutions which then became one of the most reputable China specialist consultancies in Europe. She has personally coached many British entrepreneurs and helped them achieve better results in doing business with China. Corporate communications consultancy Cofinitive works closely with clients to create impactful communication and engagement programmes. In less than four years of trading it has been recognised as one of Cambridge’s 130 most influential businesses. 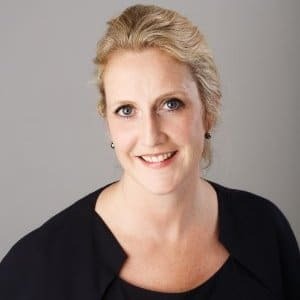 Founder Faye Holland has over two decades’ experience of delivering corporate initiatives, spanning multiple industries and international boundaries. From strategy and branding to marketing communication and engagement, Cofinitive offers an innovative ‘one voice’ approach to help their clients build their brand in a consistent and coherent way.